There are many shops and markets all across Gujrat, sale New and Used Mobile Phones of all companies; Nokia, LG, Sony Ericsson, Samsung, Motorola, Black Berry and all other mobiles. 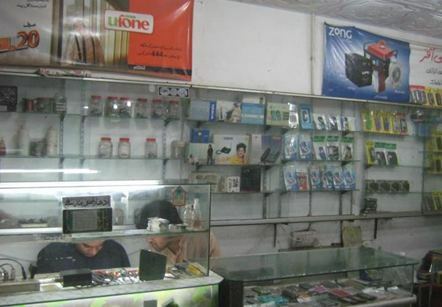 These shops also deals in Used mobiles; buy and sale. Best Markets of Mobiles Sale and Service are located in Ram Talai Chowk, Gulzar e Madina Road, Staff Galla and Jail Chowk. You can buy any type of mobile; from Latest 3G Brands to Simplest Brands, from Nokia to Samsung, from costly mobile gadgets to very reasonable valued mobile sets. Even latest Tablet PCs (Apple iPads and Samsung Galaxy Tabs) are also available. Even you can buy a new, fully functioned, color screen and VGA Camera Mobile Phone in very low price. Here you can also buy mobile phones of different cellular networks e.g. Zong, Ufone and Mobilink. You can also purchase EasyLoads and Mobile Cards and Mobile Phone Accessories. iphone s4 kitny ka ha??? ?